Protection of the buildings (as a whole, including the installations that ensure functionality thereof) and properties (furniture, fixed assets/ inventory objects, equipment, devices, installations, raw materials, stocks, etc.). 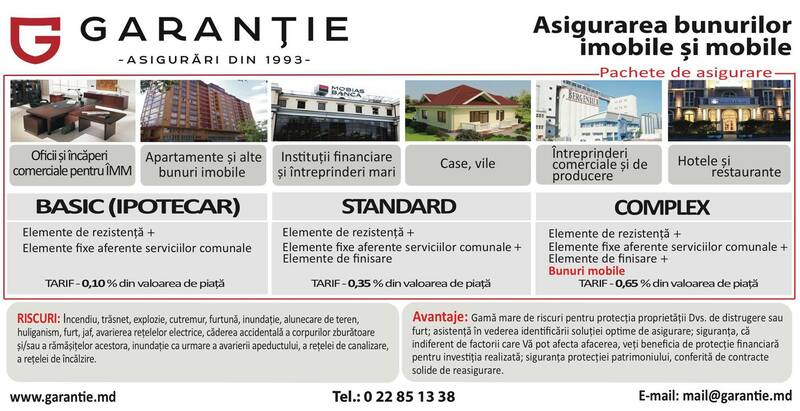 Owner/holder of the real estate/property located in the territory of the Republic of Moldova. 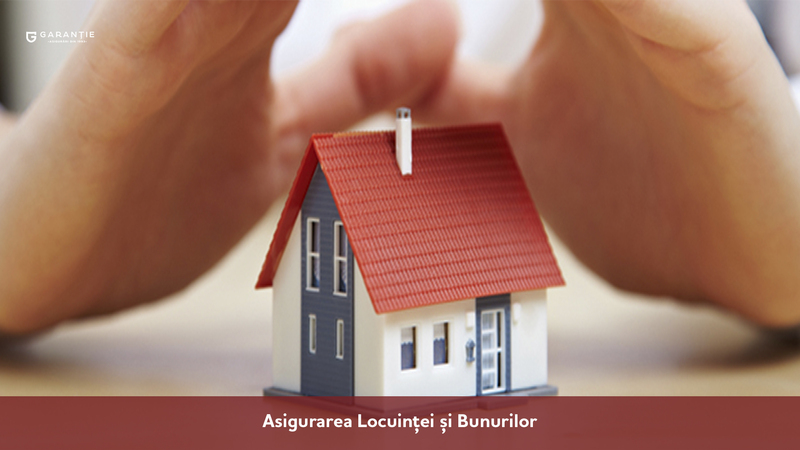 If the contract does not stipulate otherwise, the value of the property to be insured shall be equal to the amount insured, as defined in the insurance contract. 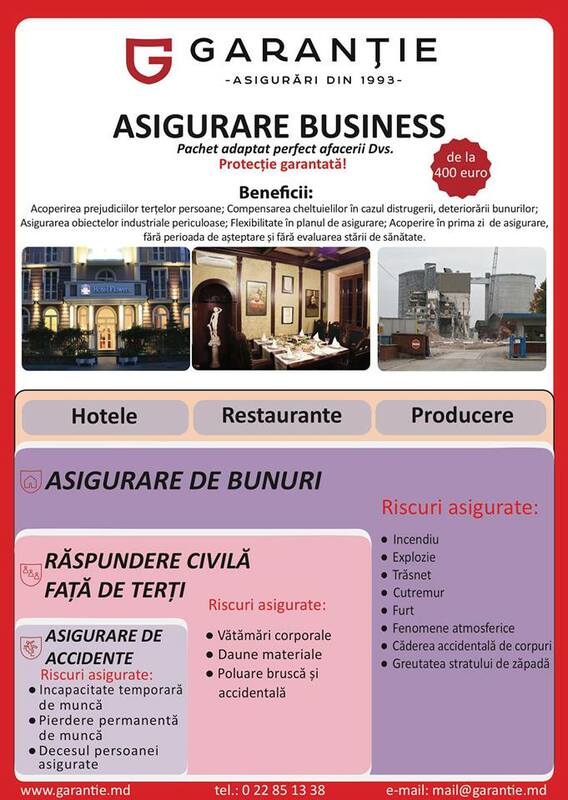 0.05% and 1.5% of the amount insured, depending on several factors: real property purpose, geographical area it is located in and/or property insured, type of the building, materials used in construction works, agreed schedule of protection, amount insured, etc.